Your home should be saving you energy. Keeping you safe. Connecting you to what matters most. You spend so much time thinking about home. It's time for your home to start thinking about you. A thinner, sleeker design. A bigger, sharper display. And hot water control. The Nest Thermostat gets to know the temperature that you like while you're at home and turns itself down when you're away. So it saves energy. That's the most beautiful part. See your home on your phone. You're not always around to make sure that your home is safe. Or to see where the dog's hidden your shoe. Nest Cam lets you check in - even when you're out. Know more, worry less. 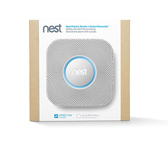 The Nest Protect smoke and carbon monoxide alarm speaks up to tell you what and where the problem is. And it can message your phone if an alarm goes off or the batteries are getting low. 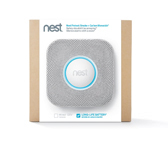 Each Nest product figures out how to make your home better. So imagine what all three can do when they work together. 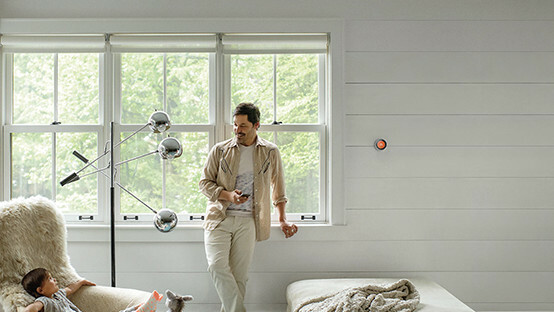 The Nest Thermostat can turn on Nest Cam to keep an eye on your home when you're away. 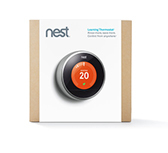 If Nest Protect detects carbon monoxide, the Nest Thermostat will turn off your boiler because it's a common cause of CO leaks. 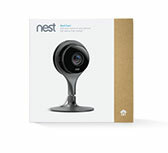 And when the Nest Protect senses smoke, it can turn on Nest Cam to help find out where it came from.